Dress up any outfit with the charmingly cute Etro™ Ayers Sandal. Shimmering snakeskin pattern leather upper. Slingback style with adjustable buckle closure at the ankle. Additional crisscross straps at vamp. Open-toe silhouette with slender toe strap. Lightly cushioned quilted leather footbed. 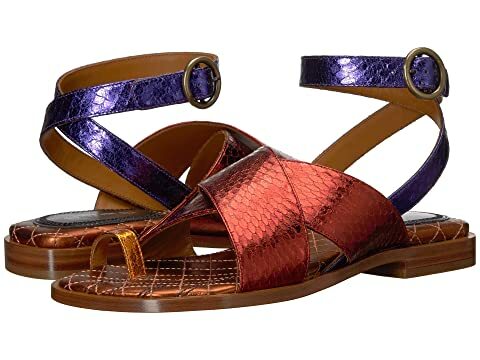 We can't currently find any similar items for the Ayers Sandal by Etro. Sorry!